Aren’t easy to make recipes the BEST!! They taste delicious AND everyone loves them. 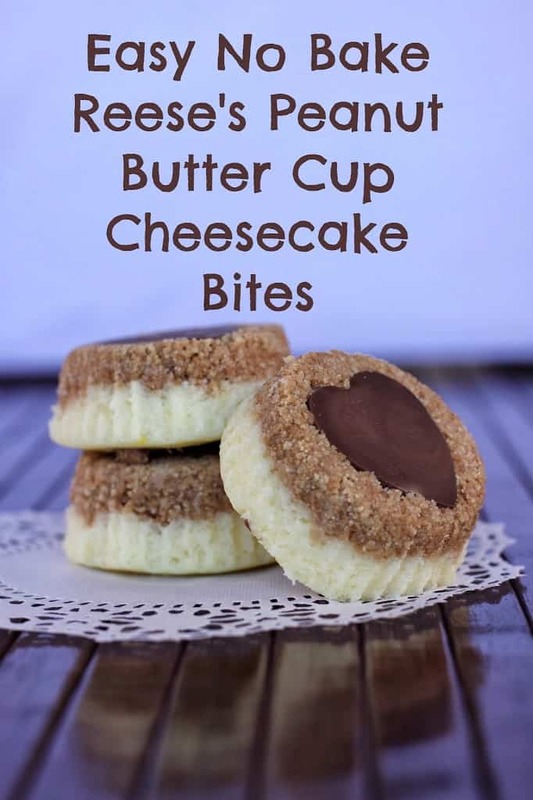 This No Bake Cheesecake Bites recipe is great because you don’t have to worry about taking time to cook them, they are just ready in an hour. These are great for parties, Valentine’s Day treats of just for fun! 1. Cut out heart shape (or desired shape) with PopChef of small cookie cutter and put in bottom of cupcake liner. 2. 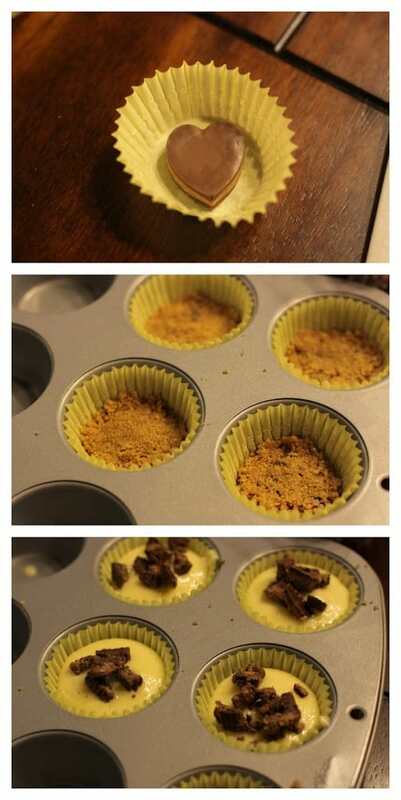 Prepare crust by following directions and push to bottom of cupcake liner and cover peanut butter cup. 3. Make cheesecake filling according to directions and cover crust. 4. Decorate with chopped up peanut butter cups. 5. Refrigerate for 1 hour then enjoy. This recipe is delicious and so easy to make. 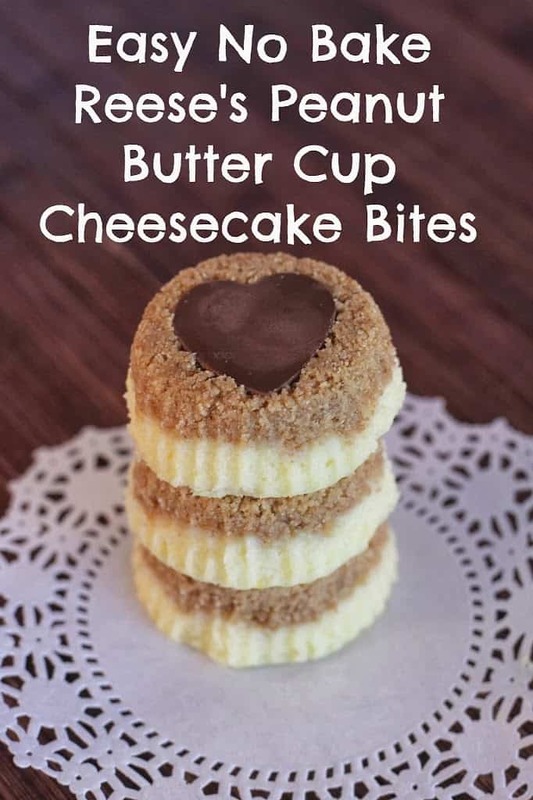 No Bake Cheesecake Bites are perfect for parties, holidays or just when you want a snack. I love adding the shape to it because it gives it more of a fun factor. Adding the heart makes it especially fun for Valentine’s Day! We love this set and use it all the time. I love that it is so easy to use. This is a fun item that we have included in our holiday gift guide and anyone old and young would have fun receiving. It makes a great, affordable gift. The 10 piece Pop Chef set is available for $10.99 at fine retailers everywhere. Note: On SALE for only $5.23 on Amazon! !